Anne and Mary are twins﻿ and their star sign is Gemini. Their parents work hard to earn money at the Renaissance Faire, which is always being held in the days around their birthday. Their mother is a manic depressive dressmaker, whose condition is significantly worse during the days of the faire. Anne and Mary want a normal birthday where everything evolves around them instead of promoting their mother's dresses. Sixteen is a special age and because of that their grandmother gives the twins each a personal present that really suits them. Anne receives a book that will teach her how to conjure spells. She starts her practice and accidentally invokes Castor and Pollux, the Gemini Twins. This attracts a sorceress named Zeena who wants to have their powers. She puts a spell on Anne and Mary and tries to capture them to harvest their powers. Will Anne and Mary find a way to get rid of the evil woman? What will happen to them if they can't? 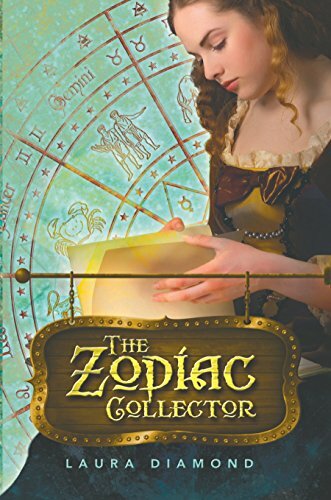 The Zodiac Collector is a gripping story about astrology, spells, Renaissance, family and love. I immediately liked the two sisters. Anne is impulsive and bold while Mary is organized and responsible. They perfectly complement one another. They love the faire, but they do have to work instead of just having fun. Because they have friends there the work is still quite fun, but not on their birthday. I immediately liked the two girls, they are a unit and even though they don't always agree on everything they have a fantastic connection. The twins can always rely on each other. Even when things are tough their family bond is indestructible, which is what I liked the most about the story. 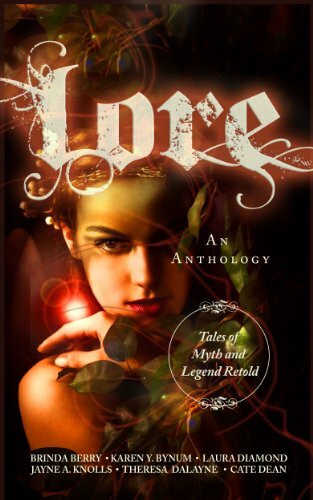 Laura Diamond's vivid descriptions of the faire made it easy to picture. I loved the way she makes it come to life by giving her readers many interesting details. It's a fantastic setting for a story about magic based on zodiac signs. She has a wonderful creative imagination that made me love this story straight away. I enjoyed the combination of an evil witch, star signs and spells. I was completely enchanted by the story and I couldn't put it down. Laura Diamond is an author of all things Young Adult (YA): paranormal, dystopian, and horror. She also dabbles in Middle Grade, and even New Adult. As a board certified psychiatrist, she feels her education helps her create compelling characters and real people in her stories. Diamond knows how people react and pulls out the emotions, not only from the characters but also the reader. Laura Diamond has always enjoyed reading, but she never thought she could write a novel. That is, until she experimented with short stories and creative writing during medical school. While in residency, she took the plunge and committed herself to learning the art of writing. She honed her craft visiting writer forums, establishing a network of mentors and peers and by practicing ... A LOT. Now Laura Diamond is a successful published author of short stories, a novelette, two novels, and counting. Diamond approaches each book differently usually beginning with a single character. She's drawn to the character-envisioning what they look like, how they perceive their world, what challenges they have to navigate, and who's with them along the way, whether it be a friend or foe. Then she presents a challenge for them--because she's mean like that--and makes sure to throw as many roadblocks in their way as possible. For Diamond, this is her key to developing compelling stories. Diamond likes writing Young Adult (YA) because it's during a time in life that is rife with challenges and intense emotions. The paranormal interest comes in because Laura has always had an affinity for magical creatures and dark worlds. Diamond's horror short story, City of Lights and Stone, is in the Day of Demons Anthology by Anachron Press (April 2012). Begging Death, a short story in Carnage: After the End Anthology by Sirens Call Publications is coming fall 2012. Her Young Adult Paranormal Romance novelette, New Pride, by Etopia Press launches November 2, 2012. Her Young Adult Paranormal Romance novel, Shifting Pride, by Etopia Press launches December 7, 2012. 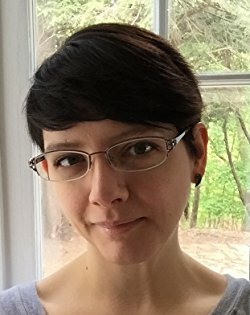 When she's not writing, she is working at the hospital, blogging at Author Laura Diamond --Lucid Dreamer, where she helps writers "shrink-wrap" their characters, and renovating her 225+ year old fixer-upper mansion. She is also full-time staff member tending for her four cats and a Pembroke Corgi named Katie. Though she considers herself down-to-earth, Diamond also has a sense of adventure. She learned to ride horses by practicing on ex-race horses from the Saratoga Race Track. She taken a hot air balloon ride with the US Hot Air Balloon Team and travelled to Africa to deliver presents to children in the desert. Some other favorite places Diamond has ventured to include Israel, New Zealand, Australia, and Europe. She especially enjoyed visiting the ruins of Masada, touring the Hobbiton film set, getting lost in Venice, and watching the World Cup finals in a pub in Vienna. I am a board certified psychiatrist currently specializing in emergency psychiatry. When I’m not at the psych ER, I write all things young adult—both contemporary and paranormal. An avid fan of sci-fi, fantasy, and anything magical, I thrive on quirk, lucid dreams, and coffee. When I’m not working or writing, I can be found sniffing books and drinking a latte at the bookstore or at home pondering renovations on my 225 year old fixer upper, all while obeying the dictates of my feline overlords, of course. 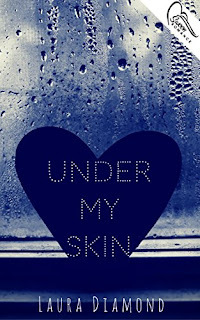 2) Under My Skin is a story filled with sadness and hope. How do you find a good balance between the two? Your question is a good one because I don’t believe sadness and hope necessarily have a balance. In reality, sadness can easily eclipse hope, to the point where hope can be lost. For some people (like Adam in Under My Skin), suicide becomes an option because they have become hopeless. The thing about hope is that you only need a little bit, the slightest drop, to purify the sadness and keep it at bay and that’s what makes it amazing. 3) You write about a serious heart condition in a realistic way. Where did you find inspiration for it? After college and before medical school, I worked as a nurse’s aid on a heart transplant unit at my local hospital. I spend countless hours with people waiting for hearts. I was also fortunate enough to shadow the organ procurement team and retrieve a heart and observe the transplant surgery. The time I spent there was incredibly influential because I got to see first hand what people go through trying to reconcile being so close to death while hoping for a new chance at life before it’s too late. 4) Your main characters have their flaws, which is part of their attraction. Why have you chosen this approach? I find flawed characters the most interesting and, somehow, the most relatable. No one is perfect and sometimes it’s the flaws—and the person working through them—that leads to growth. It also leads to a great deal of conflict, which is good for stories at least. 5) You're a writer and a psychiatrist. How does psychiatry influence your writing? I think psychiatry plays an integral role in helping me with character development. Since I was lucky enough to spend a large portion of my education studying the psyche, I (hopefully) have a better understanding of human behavior, motivation, perspectives, and beliefs, which then extends into how people relate to the world and others. This ends up infusing all of my stories, whether or not the characters have diagnosable mental illness. 6) You also write fantasy, can you tell a bit more about that? I love magic, fantasy, sci fi, paranormal, all that stuff. It is an open door to imagination and adds a bit of zest to an otherwise “normal” story. I love the juxtaposition of ordinary with extraordinary too. In The Zodiac Collector, my other YA book, twin sisters, Anne and Mary, end up using magic from their Zodiac sign because their mentally ill mother can’t deal with them wanting a nice sixteenth birthday party (“ordinary”) and in the process they tangle with a witch who’s trying to collect the power from the entire Zodiac (“extraordinary”). Also, a lot of the book takes place at the Renaissance Faire (which originally inspired the story), a place already filled with wonder and magic. 7) When/how did you start writing? I was in my fourth year of psychiatry residency and realized that in order to find my own balance I needed a creative outlet. I’ve always been a reader, but it wasn’t until that time, in 2008, that I picked up a pen (and a keyboard) and started writing. Though I will take breaks between projects, my mind is usually largely focused on writing and imagining stories. 8) What's the best advice you can give your readers? As trite as it may sound, don’t give up on your goals or dreams. Life is full of challenges of all sorts and it can be tempting to put goals and dreams aside. The problem is that time keeps ticking and before you know it, you’re looking back on your life? At least you tried and nothing is stopping you from trying again. PS: No one succeeds on the first try; you need to practice and work through the tough times. 9) Is there anything you've always dreamed of that you'd still like to achieve? I’m always working on ways to improve myself; life is a game of learning, after all. As far as writing, I’d still like to get an agent at some point and try traditional publishing. So far, I’ve worked on self-published and small press projects, which have been rewarding, but I’d like to experience the other side of it as well. I recently finished polishing book one of a YA scifi/dystopian duology. It’s titled IMMORTAL ALIENS: DAWN OF THE VIE and hits bookshelves this October (by Curiosity Quills Press). I’m currently working on editing book two called, IMMORTAL ALIENS: BLOOD RUSH. The duology is about immortal aliens who take over the planet, drinking human blood to survive, and an underdog boy who sparks a revolution. It’s a bit of Immortal Rules meets Hunger Games meets The Fifth Wave and the antagonist, Alex, is by far my most favorite character I’ve ever written because despite his killer nature, he tries to do good, but he only ends up making things worse. Talk about flaws, lol! One very lucky reader of With Love for Books will receive a paperback copy of The Zodiac Collector. The book reviews sounds good. Thanks for sharing. Love the covers and interview too. I like The Zodiac Collector. I'm about to start a novel about sisters by Nancy Starr. Zodiac sounds like a really interesting book. Thanks for the post! Thanks for the review, this sounds like a great book. I'd love to shadow a transplant team. Last year I had to have all the ligaments in my leg replaced after an accident and was able to watch the entire process! I will always be grateful to the young man who donated his body and allowed me to walk again. Sadness and hope, indeed. 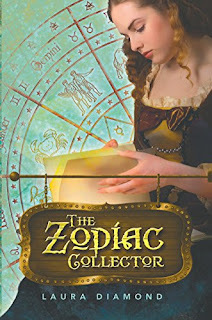 of The Zodiac Collector By Laura Diamond. I thought your interview with Laura was very informative.